The Neon South has become a very popular online business in recent years thanks to its unique offering of custom neon tank tops and other stylish apparel. The company has done particularly well in caving a customization niche with its products to today's younger generations. 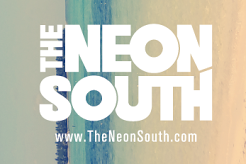 The Neon South is a company devoted to selling custom neon tank tops and other fine pieces of custom apparel. The company can accept customized designs from customers and print them onto a series of different outfits, including neon tank tops, t-shirts, hats, sunglasses, and more. The customizable neon tank tops at The Neon South come in many vibrant colors and will last for a while after they are used. The company has four automatic presses and one manual press in its factory in Dallas. The factory is capable of printing as many as five thousand shirts in one day. A key aspect of what makes The Neon South so popular is that it is a company that concentrates less on making regular products and more on making things that express individuality. The company puts a focus on groups that want to create unique and customizable tank tops and outfits that are not available in just any store. The use of neon colors behind the company's neon tank tops and products has particularly helped the company to stand out. These colors are made to create some exciting accents that are bright and unique. This is to emphasize the individuality that today's youth has in store. College groups like fraternities, sororities and spring break groups as well as other young adult groups have benefited from what the Neon South has to offer. This is thanks to how the Neon South has focused so much over the years on offering custom neon tank tops that cater to their special events. The Neon South has found that many of these groups are particularly fond of their experiences in Spring Break events, Greek member events and more. They often have shirts and tank tops used to represent the great memories that they have from some of their past events. 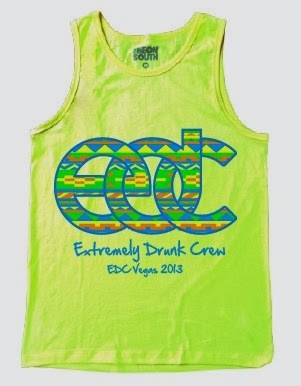 The Neon South has become heavily influenced by these groups and as a result is making all sorts of different custom tank tops for all of these people. The company wants to make products that are reflective of these great events and moments. All of the products that the Neon South makes are with all kinds of different designs in mind. Customers can use the company's website to upload their own designs and to preview them along tank tops and other pieces of apparel based on their colors and sizes. This is all designed to give people ideas of what their items may look like. This is made with more than just tank tops in mind. People can also visit the website to get such things as hats, shirts, sunglasses and even fanny packs. If there is one thing that The Neon South has done well at it involves working hard to create the best custom neon tank tops for all sorts of occasions. The Neon South has created a variety of quality products that go with the belief that the best tops are reflective of great memories and they should stay out just like the people who buy them.